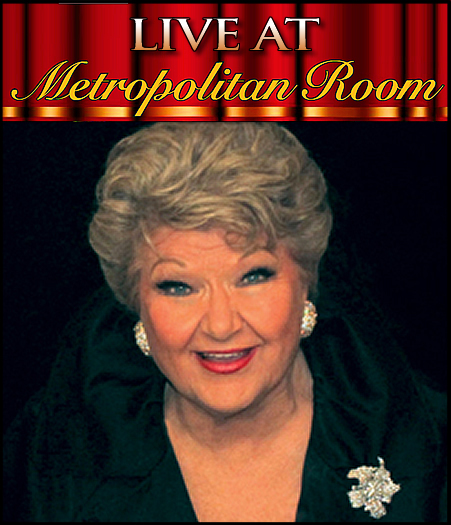 In addition to her hotly anticipated New Year’s Eve performances at the Metropolitan Room on December 31, Marilyn Maye plans to keep the party going with three unprecedented, by-request shows during the first week of the year. “Marilyn By Request,” in which Maye and her Billy Stritch-led band will create a new show based on audience requests, marks her return to her downtown stomping ground. Hot on the heels of what is being called “The Biggest Party Ever” on New Year’s Eve (shows at 8pm and 10pm are selling out fast), Marilyn asks her fans to pick her “Marilyn By Request” set list for what is sure to be a surprised-filled, and no doubt high-octane night. “It’s a new year, why not try something new,” says Miss Maye, who reports that she has tried the format in Kansas City but never before in New York. Please offer your song suggestion when making your reservations. “Marilyn Maye is pretty much every singer you ever wanted to hear!” Will Friedwald, The Wall Street Journal.